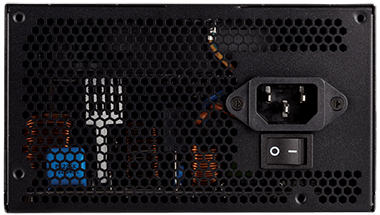 One key challenge facing power-supply unit (PSU) manufacturers is how to differentiate between a number of supplies that all vastly exceed the lax minimum standards laid down by the ATX specification. 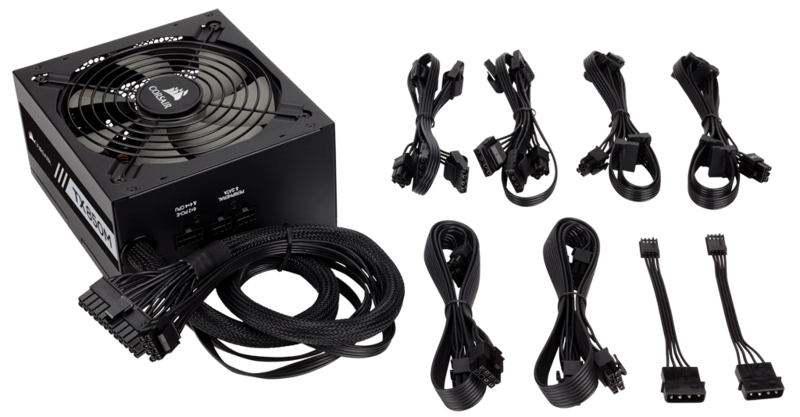 It is difficult to find a PSU that doesn't score well when pushed and probed by specialist equipment, so manufacturers tend to decide between the competing factors of quality, connectors, modular cabling, semi-passive running and take account of all these with due reference to price. It also helps that the 80 PLUS organisation provides an at-a-peek reference to a supply's internal quality. 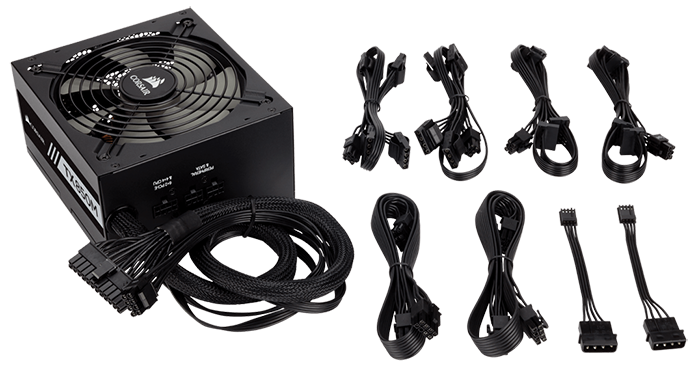 With all this in mind, Corsair has consolidated its PSU offerings into seven model ranges. 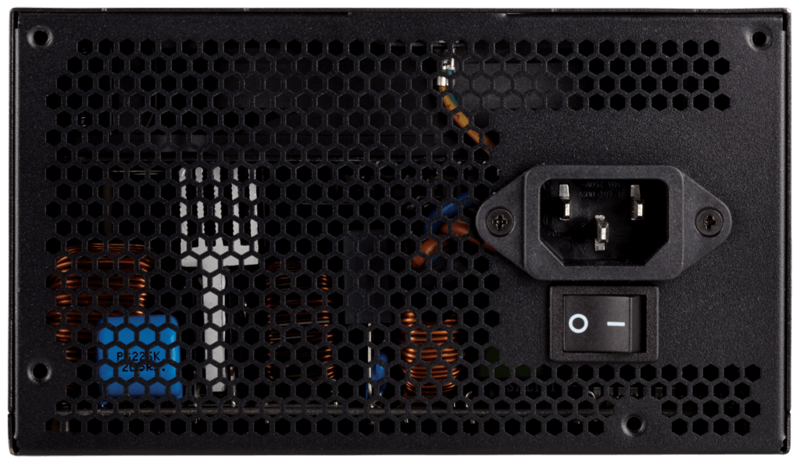 Slap bang in the middle is the ATX-sized TX-M-series, and 2017 sees serious revamp of its performance credentials. The TX-M is available in capacities from 550W (£80) through to 850W (£129). 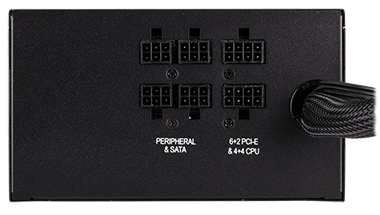 For that you receive a decent uptick over the last generation, with the supplies now featuring 80 PLUS Gold certification (meaning higher efficiency than the previous Bronze) and mostly modular cabling. This kind of positive spec inflation over the years is a hallmark of Corsair supplies. Our review 850W model is unassuming in the flesh. 160mm deep, 150mm wide and 86mm high, the all-black aesthetic is unmistakably Corsair. Said dimensions allow space for a 140mm rifle-bearing fan that, unlike the more expensive Corsair models, remains on at all times, albeit stated as being nearly silent at low loads. 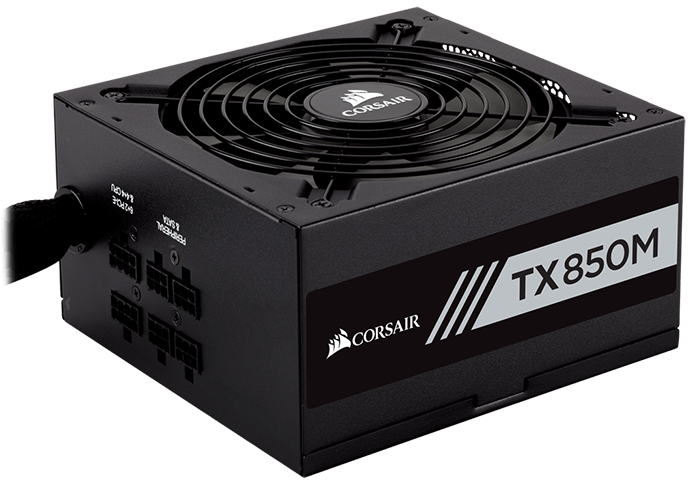 There's also no Corsair Link compatibility, which is to be expected on a TX-M model. Only the fatter 20+4-pin ATX and 4+4-pin CPU cables, measuring 600mm and 650mm, respectively, remain attached to the chassis. Can we argue that a single 4+4-pin connector is not enough, considering that a number of Intel X299 and AMD TR4 boards require two such EPS cables? Corsair would argue that you should be looking at the next model up, the RMx. You then get a further six flat ribbon cables in the box plus a couple of extenders. Sensibly, all can be used at once, and all told, there are 4x 6+2-pin PCIe (750mm max), 8x Molex (450mm-750mm), 8x SATA (500mm-800mm) and a couple of floppy extenders off the Molex. This means you can run at least two high-performance graphics cards, lots of SATA drives (on top of any NVMe), and use the Molex for whatever. Point is, we have no problems with how Corsair plumbs out this model other than the single EPS. A dirty, little secret in the PSU business is that most 'manufacturers' don't, in fact, manufacture. 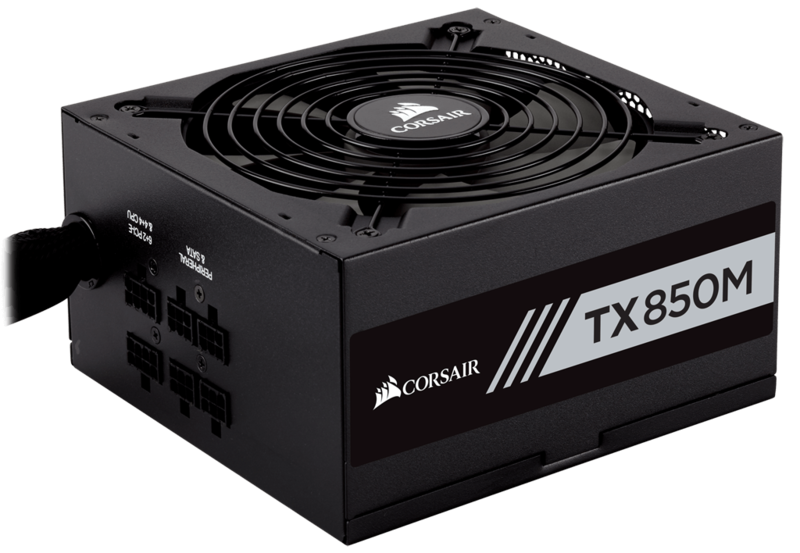 Corsair is in the same boat and therefore partners up with OEM-maker Great Wall for the TX-850M. It's one of that company's better efforts as it uses only Japanese-made capacitors, has decent soldering throughout, as well as solid line filtering. 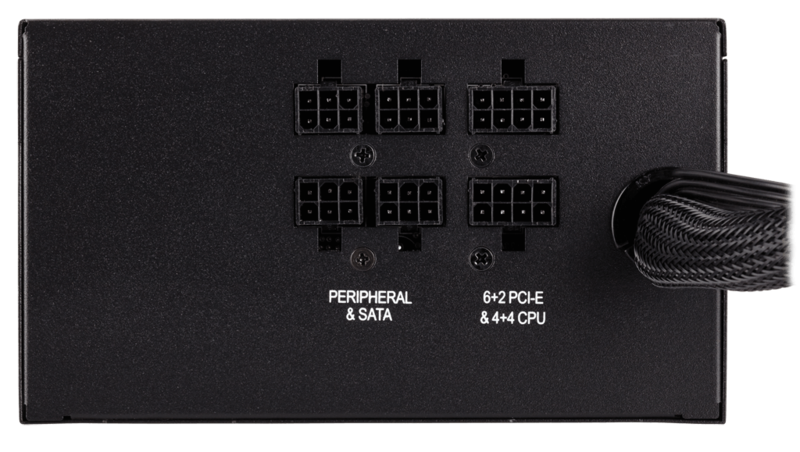 These features all add up to Corsair certifying this model with its full capacity at an ambient 50°C - a figure that gives us confidence in the supply's ability. We're also happy to see that Corsair backs this supply up with a limited seven-year warranty; it should outlast your present build and be good enough for the next.